The United States, battling a Taliban insurgency at its worst, has frequently accused Iran of providing some assistance to insurgents in Afghanistan, although Washington says it has not been nearly as important a factor as in Iraq, Iran's other neighbor, where U.S. troops are waging war. In March, the Chairman of the Joint Chiefs of Staff Admiral Mike Mullen said there had been a significant shipment of Iranian arms to fighters in the southern province of Kandahar. U.S. forces are preparing for an offensive in Kandahar, the spiritual capital of the Taliban, this summer in what is seen a turning point in the war to force the insurgents to the negotiating table for a settlement of the conflict. Iran denies supporting militant groups opposed to Afghan President Hamid Karzai's government, and says it has a stake in the security of the neighboring state. Tehran's economic influence in Afghanistan has grown rapidly in recent years, especially in the West, where cross-border trade is brisk. A dialect of Iran's Farsi language is one of two state languages in Afghanistan, and Iran hosted millions of Afghan refugees during decades of conflict. 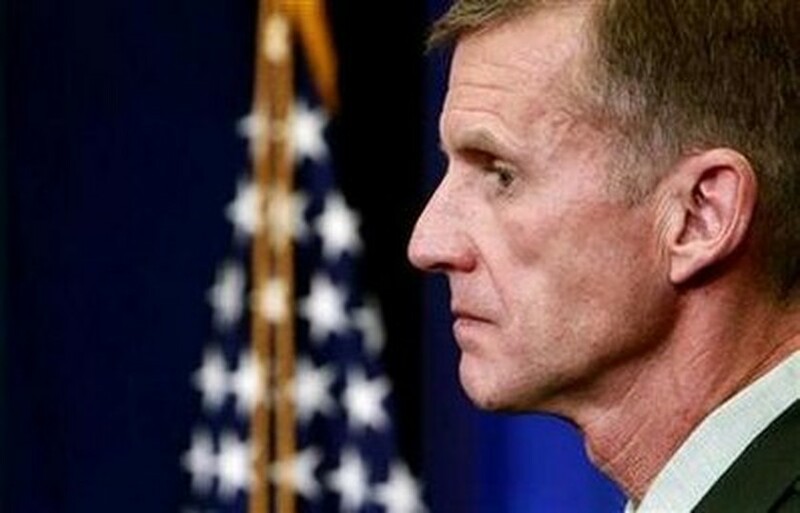 McChrystal said Iran, as a neighbor, had natural interests in Afghanistan and to a certain extent the assistance and interaction it provided was healthy. "There is however clear evidence of Iranian activity, in some cases of providing weapons and training to the Taliban that is inappropriate," he said. Iran backed the Northern Alliance in the war against the Sunni Muslim Taliban in the 1990s, but security analysts said Tehran's intelligence services could be helping elements in the Taliban as a tool against the United States.